So you look over many DJ’s websites and Facebook pages trying to find the perfect DJ/entertainment for the day/evening. This was awarded to Synergy Entertainments completely out of the blue – at first I didn’t know who three best rated are or what they did – but I did a little digging and found out that this company really do their homework and complete a 50 point inspection on all companies to find the “Three best rated” as this really does show the companies that go above and beyond (no marketing ploy here)! these inspections are carried out each month to see if the companies are still exceeding in what they do. We are now heading to the end of 2018 and 2 years on and I’m proud to say I’m still sitting in the three best rated with 2 other great DJ companies. 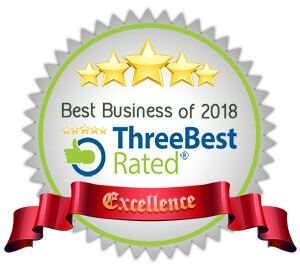 Hoping to be able to keep doing great work and make it three years with the Three Best Rated! See you all on a dancefloor soon.